Elon Musk said several times on Friday and Saturday that he plans to launch his red Tesla Roadster to Mars in 2018. 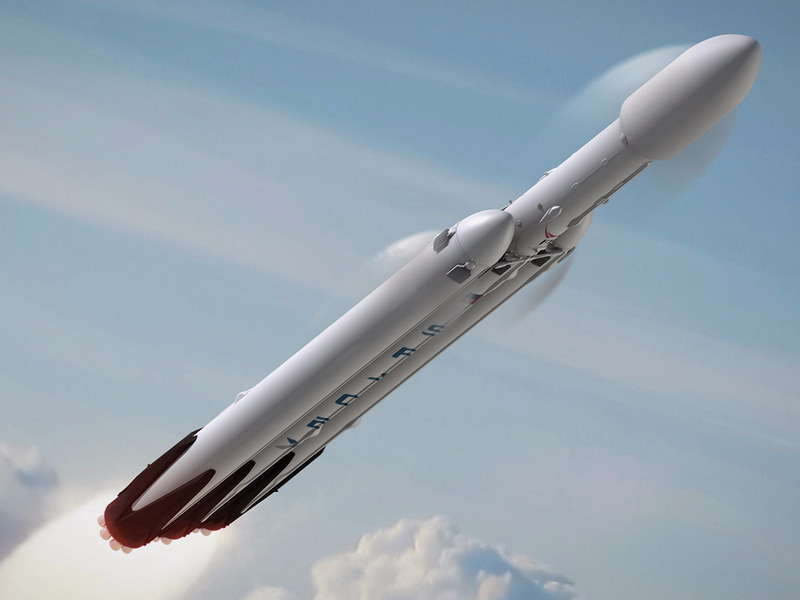 A SpaceX employee and engineer also said Friday that the first Falcon Heavy payload had been announced, and that “this is legit”. However, two spokespeople at SpaceX reportedly confirmed Musk’s claim as true after Musk’s backpedaling. Update: Elon Musk does plan to launch his Tesla Roadster to Mars with SpaceX’s first Falcon Heavy rocket launch, company officials reportedly confirmed on Saturday. Multiple sources now confirm Musk is serious, even if the tech mogul and billionaire had a good laugh or two at the expense of journalists over the weekend. Based on Musk’s history and the reported capabilities of his new rocket, there’s good reason to believe him. In 2010, Musk launched a wheel of cheese into orbit during the maiden voyage of Dragon, a spaceship built by his aerospace company, SpaceX. And in March, Musk said he plans to launch “[s]illiest thing we can imagine” during the first flight of Falcon Heavy. The rocket is SpaceX’s biggest and newest launcher, and one that’s capable of sending a payload of 37,000 pounds (or nearly 14 Tesla Roadsters’ worth of mass) to Mars. “Just to reiterate, the payload for the first Falcon Heavy rocket will be a Tesla electric car, playing Space Oditty, heading for Mars,” wrote a user named J.C.
“Yeah,” Musk replied to another user. Another person asked about the midnight cherry-red paint on Musk’s roadster. “Red car for a red planet,” Musk replied. Business Insider reached SpaceX, though the company declined to comment on the record. We also contacted Musk directly, but he did not immediately reply. NASA also did not immediately answer our questions about Musk’s stated plan to launch a car to Mars orbit. Despite the back-and-forth, the claim appears to be legitimate. Musk reportedly told Eric Berger, Ars Technica’s senior space editor, that the mission was “100% real” after The Verge’s story was updated, and Berger later tweeted that two SpaceX officials had also confirmed his claim. “The Roadster to Mars payload is real,” the second SpaceX official reportedly told Berger. This story was originally published on Sat. Dec. 2, 2017, at 3:19 p.m. ET and later updated.